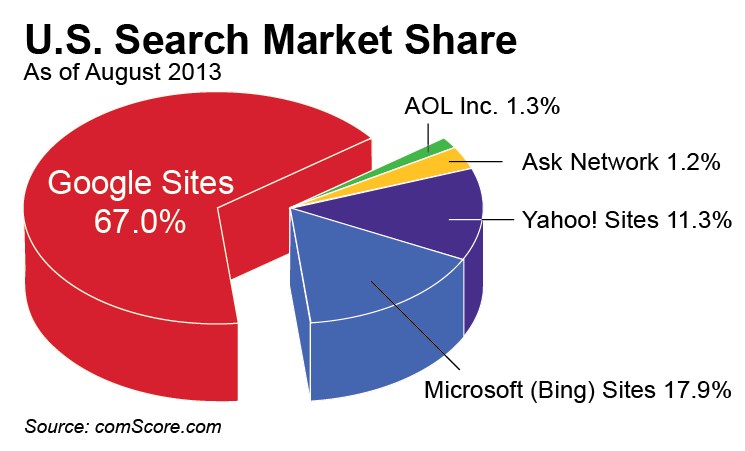 The web’s dominant search engine with a total U.S. search market share of 67.0% as of August 2013 according to comScore. Google was begun by Sanford grad students Larry Page and Sergey Brin in 1996 and incorporated in 1998. The key concept behind Google is PageRank which determines a page’s relevance for a search term by the number of links to the page and the importance of the pages the links appear on.